Storing detailing products in the trunk isn 't hard, but it can be inefficient. 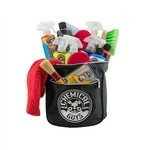 Imagine carrying a dozen bottles, 6 microfiber towels, and a bunch of small brushes and applicators. How do you do it? In a big plastic bin? In a round laundry basket? In a plastic bucket that can slide around and tip over? How much grocery and luggage space are you willing to sacrifice for some quick detail spray and car wax? 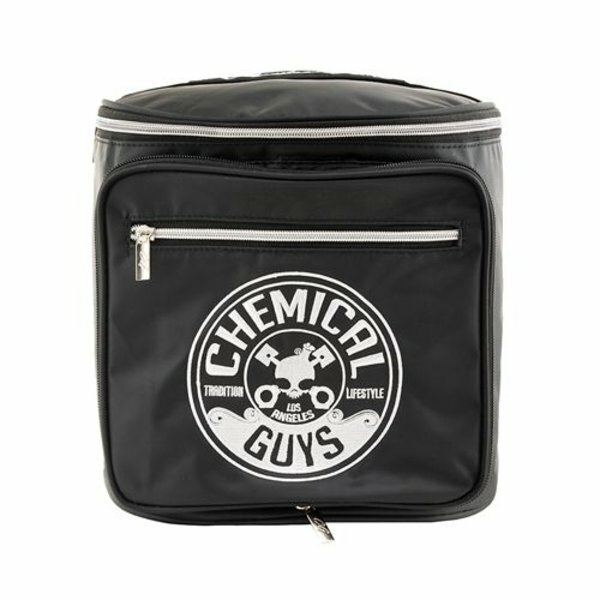 Keep every detailing product you 'd ever need on the road in one compact case and maximize trunk storage space with the Chemical Guys Premium Trunk Organizer. 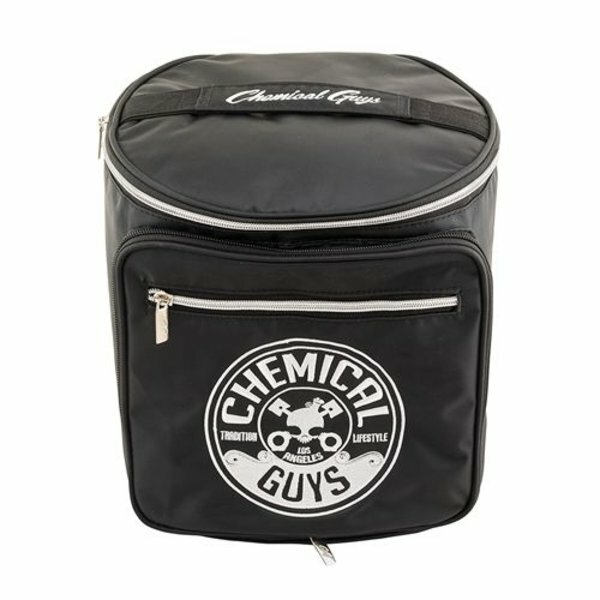 Chemical Guys designers used basic geometry to design a bag that maximizes internal storage space with minimal outer footprint. 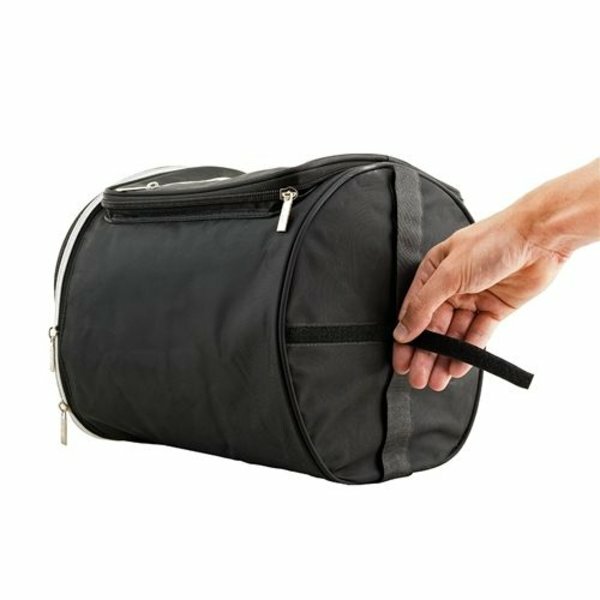 The cylindrical bag easily fits 12 bottles, half a dozen towels, and enough accessories to fully detail any car while away from the shop, home, or garage workshop. 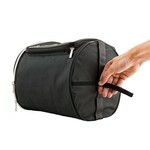 Want to keep the bag secure in the trunk? Lift up the hook and loop panels at the bottom of the bag and securely stick it anywhere it's supposed to be. 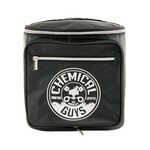 The fasteners hold the bag in place without sliding or tipping. 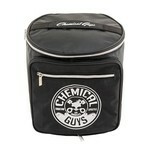 If only grocery bags held on as well as the Chemical Guys Premium Trunk Organizer! Driving for any length of time is an opportunity for the world to destroy your perfect detail job. At any moment on the way to the car show, an army of birds, bugs, rain clouds, puddles, and dust storms can ruin your show-winning shine. Why let the car get destroyed with thick layers of bug guts and filthy dirt while on an extended road trip? Bring every detailing product you 'd ever need in one convenient storage bag. 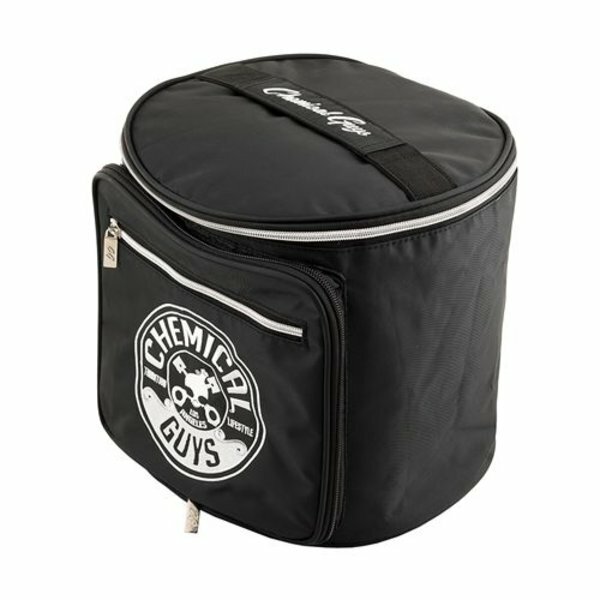 The Chemical Guys Premium Trunk Organizer holds up to 12 full-sized 16 oz bottles of product, half a dozen microfiber towels, and any little detailing brush, applicator, or accessory you 'd need for a detailing job. Finish the little touch ups right before a car show, or do a full waterless car wash while out on a road trip across the country. Zap up interior spills before they can set in as full stains, and keep glass perfectly crystal-clear for improved safety and visibility out on the road. 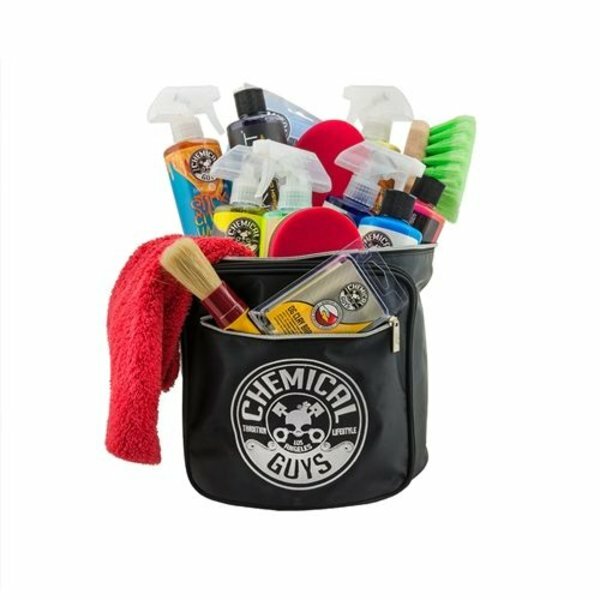 No matter what the detailing need is, keep every vital product on hand, organized, and safe on the go with the Chemical Guys Premium Trunk Organizer.